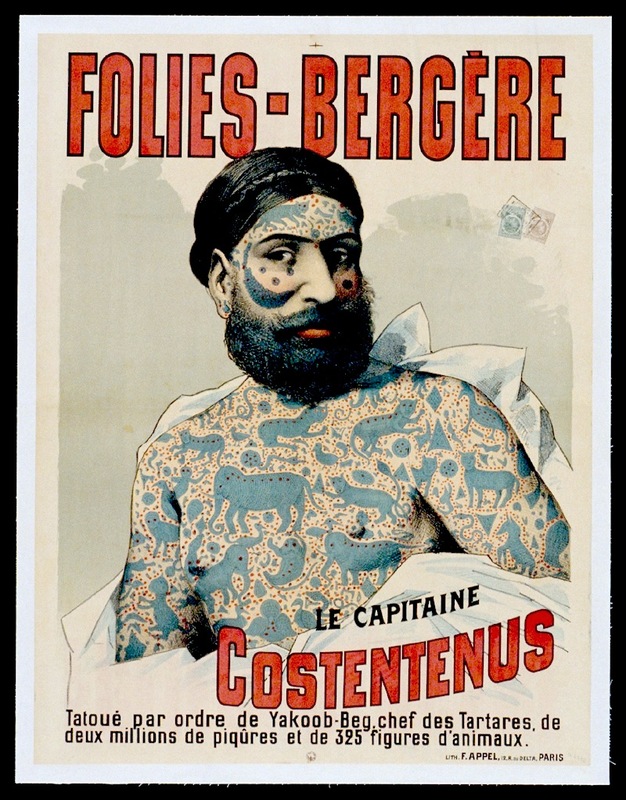 Note the date of Costentenus’ stint as an attraction at the Folies-Bergère. 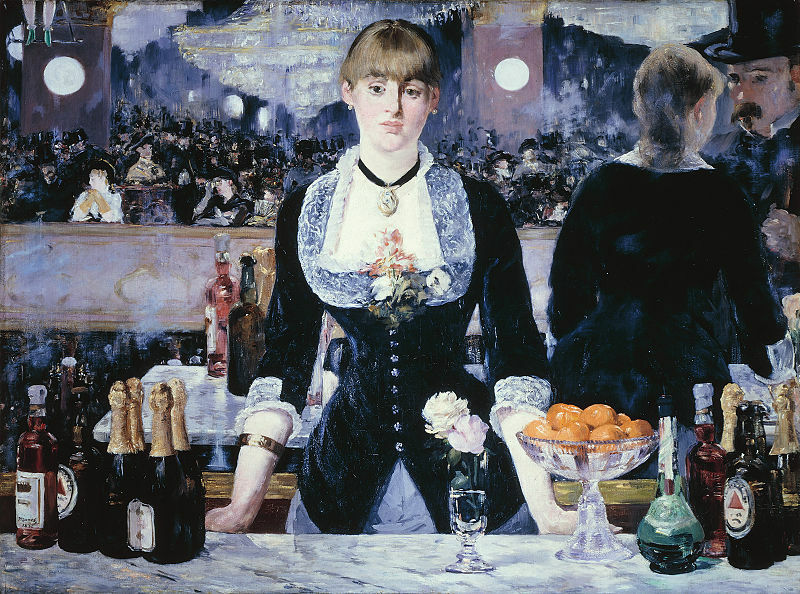 Édouard Manet painted his famous Un bar aux Folies Bergère in 1882. The painting can now be seen at the Courtauld Gallery in London. 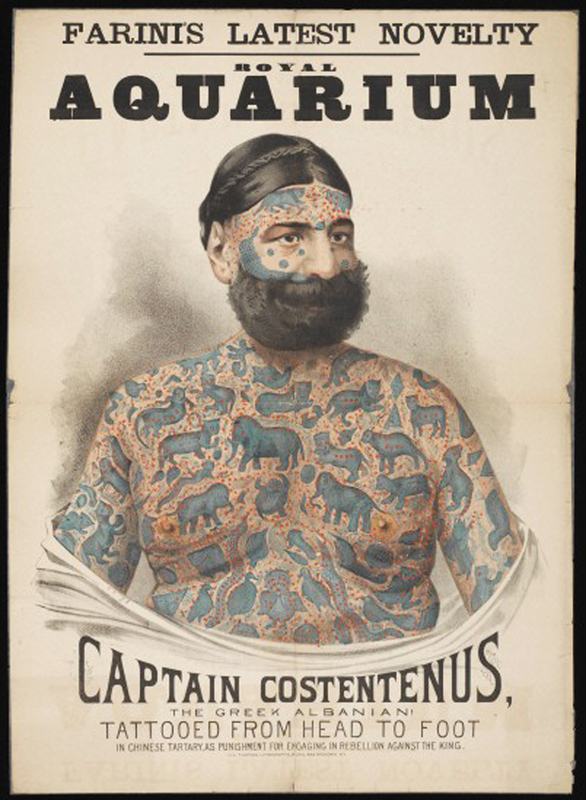 Just imagine slumming posh boy Manet, Suzon the demimondaine (this painting’s model, who really did work there), the woman on the trapeze (top left) and Captain Tattoo all hanging out of an evening, over more than a few Bass Pale Ales at the Folies-Bergère. 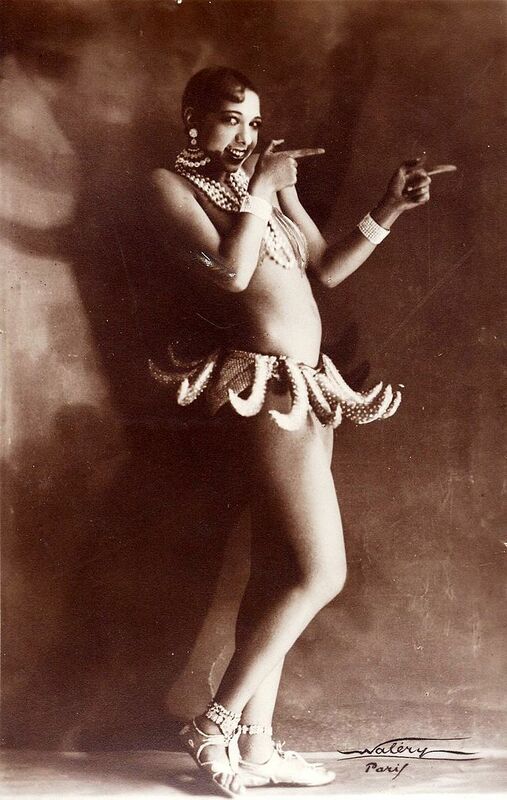 If we could do a bit of time travelling and fast forward about forty years to the mid 1920s, they could all hook up in exactly the same place with beautiful, bonkers Josephine Baker and her bananas for a completely off the hook weirdo Parisian night life supergroup that would make Baz Luhrman puke with envy, down the road at the Moulin Rouge. The League of Extraordinarily Drunk Ladies and Gentlemen and Sideshow Acts and Fruits.